When Should I Have My Foundation Checked? 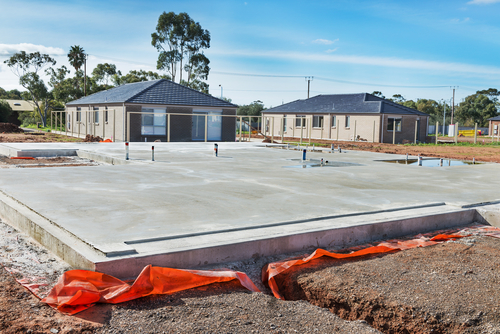 The foundation of a building is quite possibly the most important part of the structure. It is here that all of the building’s weight is held perfectly over the ground that if directly built upon, would cause issues of decay and deterioration. It is the foundation that separates our structures from the harsh elements of direct ground contact and provides permanent support for all else rising above. How do you know though if your foundation is in good shape or bad? Calling out an expert is a quick way to reach this determination, but not all people wish to call out the troops right away. If you are interested in some tips on basic foundation assessment that you can do yourself, we have a great, short guide for you here. Performing a basic assessment yourself will likely point you in the right direction and is highly recommended. Here are six areas to check in determining if your foundation is going to need further expert intervention. If your home is on an above-ground foundation, you may be able to get a much more thorough diagnosis of its condition than those with a completely underground foundation. Mostly found in older homes, this foundation is typically brick, stone, or block. Look for cracks or any other surface wear. Also look for a waving pattern along the foundation in which it doesn’t strand straight along its expanse. These are signs of trouble. Slanted floors are often a sure sign of deep trouble in the structural supports or foundation. Check the direction of slanting if it is present. Note where it is the strongest and in which direction it runs. These are signs that should be relayed to an expert. Your interior walls will often display the warning signs of foundation issues quite loudly. This will be through the formation of cracks in certain areas. Pay attention to cracks that extend out from window areas, the tops of doorways, and in corners. These are often signs of trouble brewing. Moisture in the crawl space or at certain areas around the foundation can indicate an issue such as a sewer line leak, a slab leak, or the need for some other foundation-plumbing repair. Your foundation is built to incorporate the running of plumbing and other utilities through it without allowing moisture or other elements in as well. 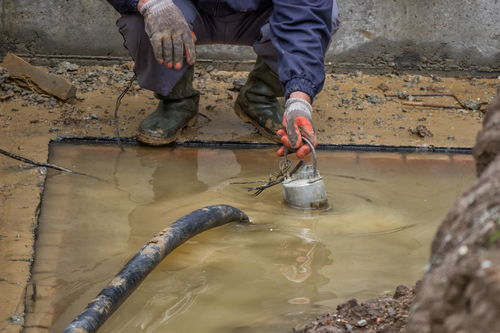 Foundation leak detection is one of the leading, scientific methods to discern this one. Call in our expert plumbers at the first sign of any suspicious moisture in the crawl or around the foundation. Along with the interior walls of your home, the exterior walls can also be quite telling. Take a slow and detailed walk around your home. Take special note of any cracks between the roof and the ground or separation around windows and doors, all the way around the structure. Not only do these needs to be repaired right away to stop the spread of accompanying damage, but you will also want to report this to your foundation experts right away. Your home’s chimney rises from the foundation area under your home all the way out through the roof. If this structure is not maintained perfectly vertically, it will show signs of distress. This is often due to foundation issues and a subsequently shifting structure putting pressure on the chimney that wants to remain straight, as it should. Look for cracks, breaking mortar, or even a crooked rise in any areas of the chimney that can be viewed. Your foundation is important. Your entire home depends on it. We recommend checking these areas at least twice a year in order to be right on top of these problems as they start to occur. Repair costs and other, linked damage will be most limited this way. Should you see any of these issues, reach out for an expert assessment. For more help, contact us, your industry experts at Accurate Leak and Line today.